This is not my newest cartoon for newspapers and assorted web clients of mine. It’s just me goofing on my tablet again (drawn in ArtRage) while waiting for tonight’s campaign coverage from New York. 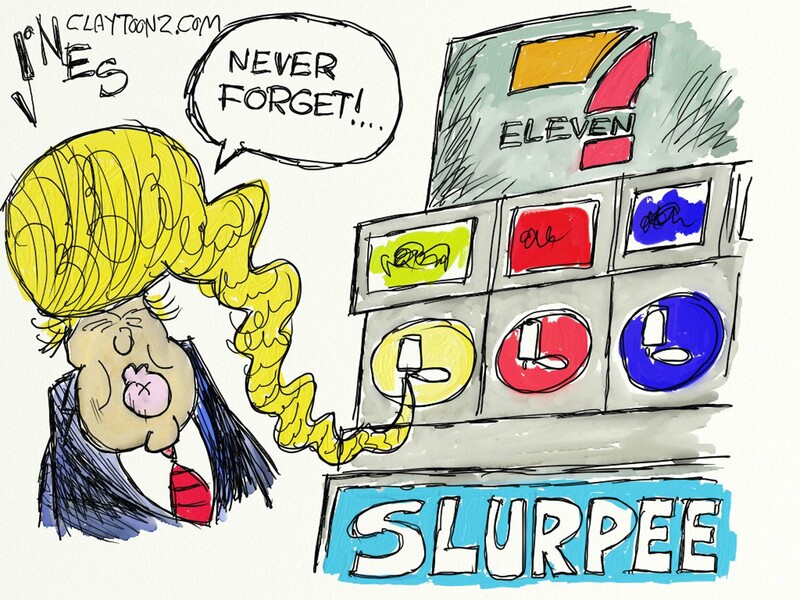 I thought Trump’s gaffe from yesterday where he mistakenly said “seven 11” instead of “9/11,” was amusing. It’s not really something I wanted to hit him hard on. Everyone has had that moment, especially those who do a lot of public speaking. Remember Obama’s “57 states”? It’s the stuff Trump actually intends to say that is really idiotic. I still think it’s amusing. There are a lot of “never forget” memes circulating on social media today. The idea of Trump with Slurpee hair was amusing to me, and could be another explanation for whatever the hell it is he has going on up there. 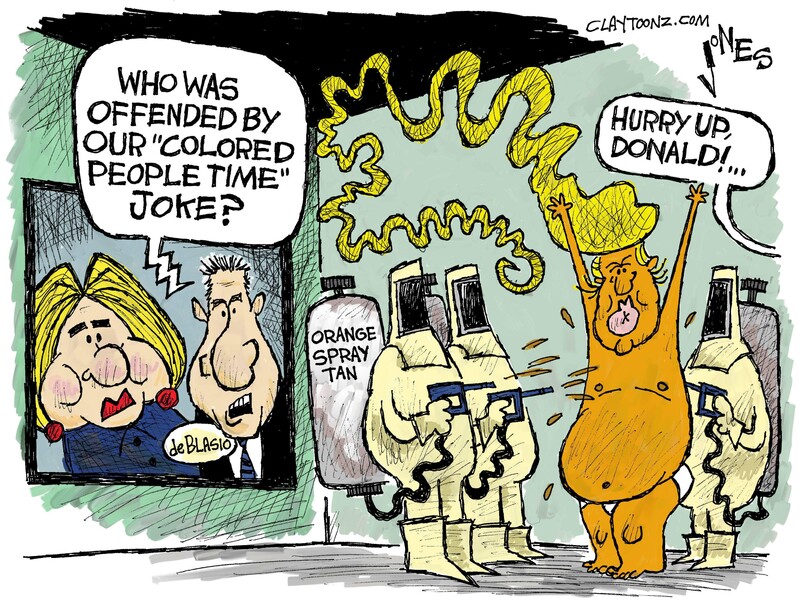 Now I really want a slurpee…and not one of those Trump slurpees. This is another reason people should subscribe to my blog or follow me on Twitter. I will throw out little extras here now and then that you won’t find at my usual client sites. Now that I said that I’ll probably send it to my clients anyway. Some of them really like the goofy, silly stuff. Honestly, I think Cruz voters might be more radical, extreme, delusional, and in need of psychotherapy than Trump voters, but nobody in New York is going to be seen wearing a Cruz T-shirt. There’s an impression that New York Republicans are more fiscally conservative than socially conservative and are not lunatics believing in birtherism and such. That is the wrong impression. 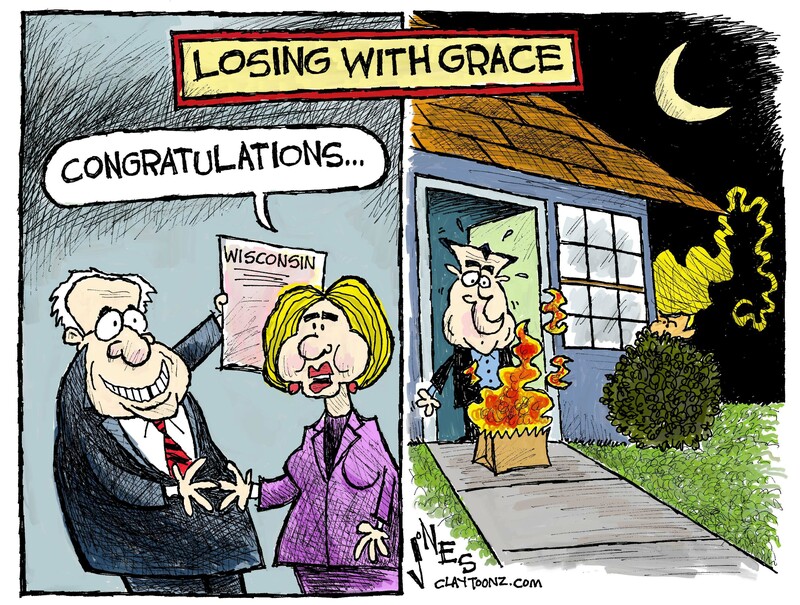 They may not go for a religious zealot from Texas who was born in Canada, but they did make Tea Partier Carl Paladino their nominee for the governorship. Paladino is a homophobic right-wing nut-job who loves to send out sexist and racist emails to friends. He lost in a landslide to the eventual governor Andrew Cuomo. Trump may be leading in a landslide against John Kasich and Ted Cruz (who’s going to come in third Tuesday), because he’s from New York, but New York Republicans are still supporting a maniac. New York is full of highly educated professionals. 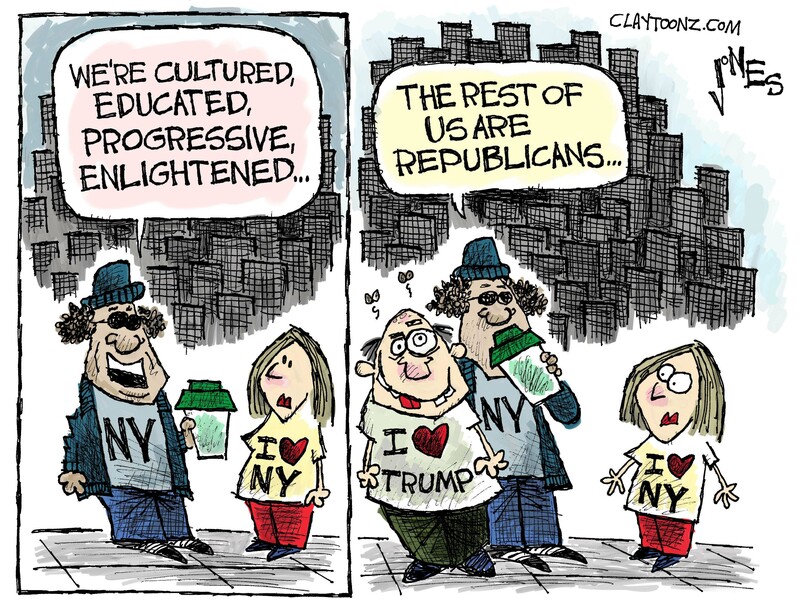 They are considered intelligent, progressive, and enlightened. There are over 19 million people living in the state of New York. Fewer than three million are Republicans. Go figure that one out.